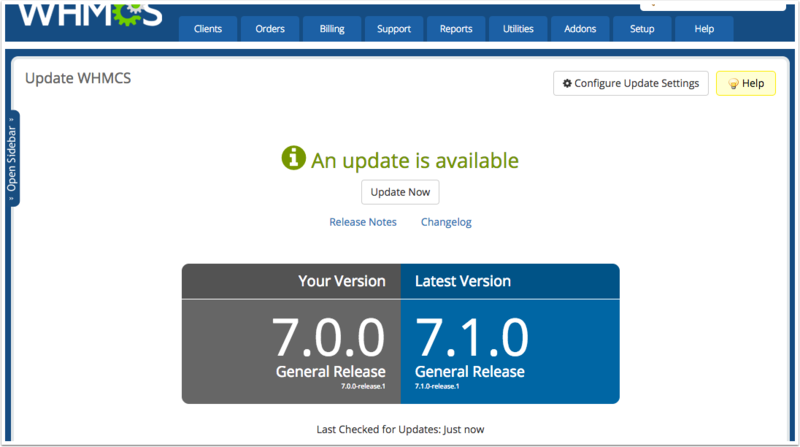 Updates are automatically checked for periodically. 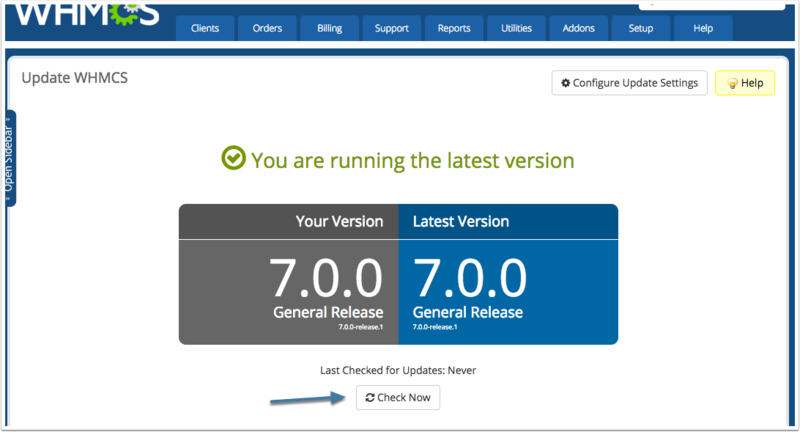 To check for an update outside of that, navigate to Utilities > Update WHMCS. Click the Check Now button located below the version information. Checking for updates may take a few seconds. Once complete, if a new update is available, you will see the display update with a notification, links to the Release Notes (which we strongly recommend you read prior to updating) and Changelog for the new version as well as the new version number. Important Note: The update check will only look for a new version matching the update channel you have selected in your Update Settings. Be sure you have set this correctly.